Liverpool International Music Festival returns to Sefton Park this weekend with a feast of food and drink, plus performances from Example, Hacienda Classical, Wylie and DJ Jazzy Jeff. The Guide Liverpool will broadcast backstage to bring viewers all of the action, as it happens with LIMF TV. Now in its sixth year, LIMF 2018 is set to be the most exciting yet with 18 hours of music, a dedicated family zone and VIP facilities. 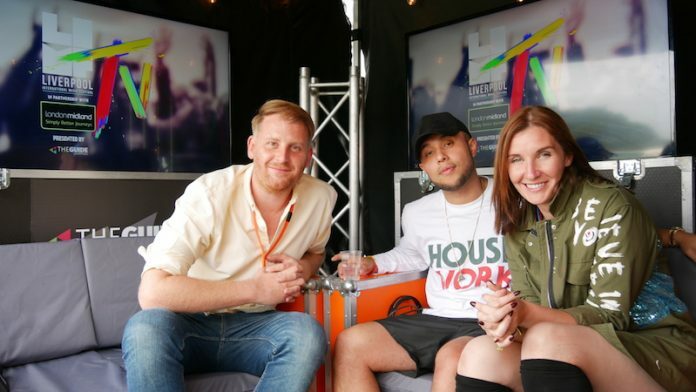 LIMF TV will be hosted by The Guide Liverpool regulars, Jay Hynd and Kate Reilly James, with Jay also hosting the LIMF Central Stage throughout the weekend. The Guide Liverpool has further expansion in site and in January 2018 launched The Guide Live daily bulletins which give viewers a regular insight what’s happening around the city in a simple, fun 2 minute roundup, filmed daily at its Liverpool City Centre studios. The Guide Liverpool also offers video production services and works with brands and business like Merseyrail, Liverpool ONE, Liverpool City Council, Arriva, The Royal Albert Dock, The Blackpool Tower and many more. Next articleFeast of family fun at Liverpool ONE this summer.